Edgar Manukyan practices in the area of employment discrimination, retaliation, harassment, wrongful termination, and wage and hour claims. 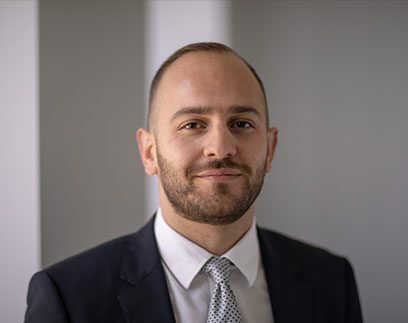 Mr. Manukyan joined Mathew & George in 2018 after gaining experience at a Los Angeles area employment firm. Mr. Manukyan graduated from the University of California-Irvine with a B.A. in political science, and obtained his J.D. from Southwestern where he was the recipient of the Wildman-Schumacher scholarship. Having numerous years of legal experience prior to becoming a licensed attorney, Mr. Manukyan knows how difficult it can be for clients to navigate through the legal process. Mr. Manukyan works closely with clients to ensure comfort and understanding of their claims. Mr. Manukyan has successfully litigated numerous individual and class action settlements that totaled millions of dollars for his clients. He is fluent in English and Armenian.